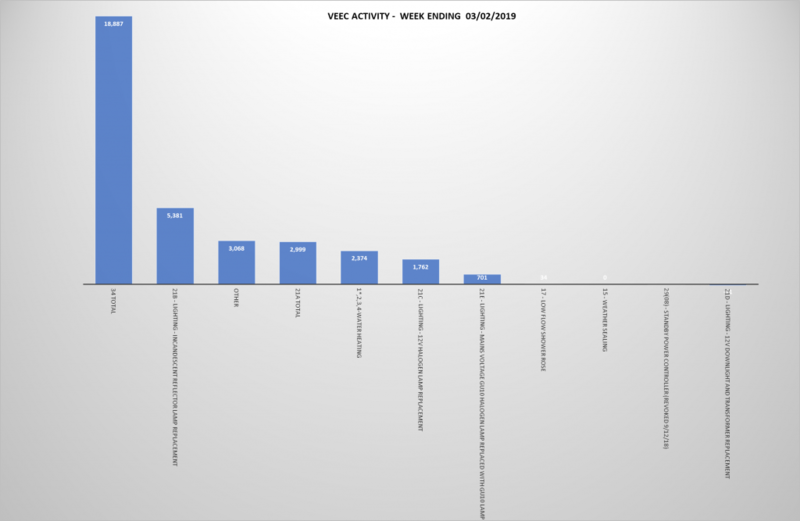 The VEEC spot price as of COB Friday was $16.25. This represents a 6-month low from a high of around $22 dollars in early September. 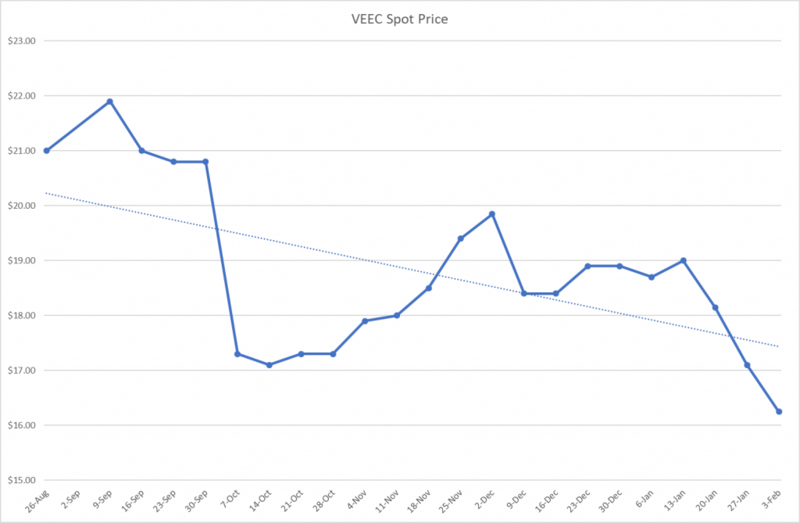 The price has fallen $3.60 since the start of December on the back of fears of a glut of VEECs being created from the amended 21A Abulb activity. However, creation in this activity has been subdued to date. 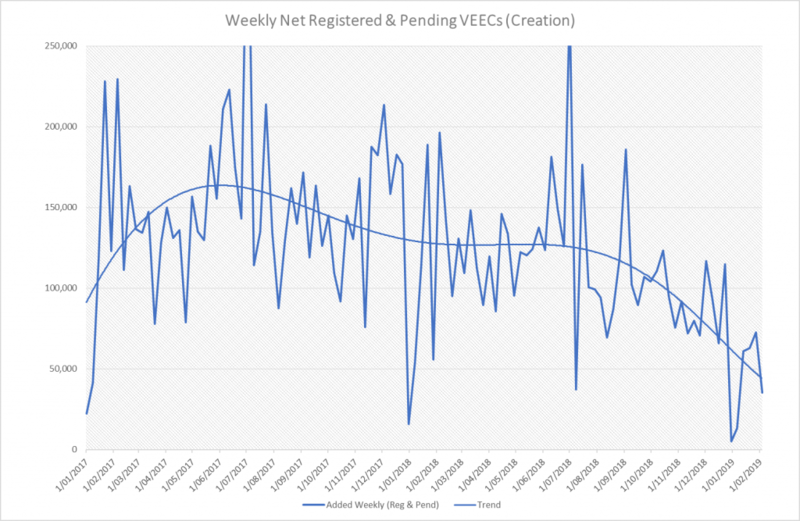 Nevertheless, the market is still acting under the assumption that this activity has the potential to quickly supply large numbers of VEECs into the market.